Find a vacation home to rent in Middelburg from our list of vacation rental properties. Campaya has over 16 vacation homes available in Middelburg, which give you the possibility to locate a unique accommodation in Middelburg which completes your check-list in search for the perfect self catering vacation apartments in Middelburg or vacation villas in Middelburg. This comfortable and pleasantly furnished home is located on the waterfront. 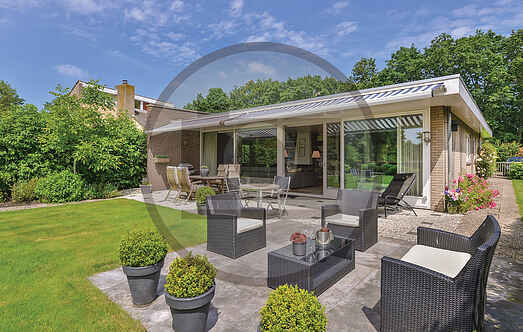 Enjoy from the living room, beautiful views of Veersemeer, where you can also enjoy swimming. This modern and stylish holiday home is located directly on the Veerse Meer Lake in Arnemuiden, only 3-and-half hours from the Eurotunnel terminal in the UK. Atmospheric cottage with lovely terrace and garden at the edge of Middelburg. Lovely designed water villas with their own dock, located on a park right on the Veerse Meer. Luxury, detached holiday home with a jetty on Lake Veerse. Detached cottages, located on a lovely water park right on the Veerse Meer. Luxury and very comfortable villas, located on a water park with various facilities. Beautiful, historical holiday home right in the centre of Middelburg.